“September”a very auspicious month for feline parents. Showering love and care for them never requires a designated month and day. But still, anything for lovable kitties!! They are not just amazing, but always above than that. These creatures are wonderful companion with superb intellect. If she loves you than you don’t have to worry. But if she feels unsafe, she will not hesitate to turn ferocious. Otherwise, she is the most playful and agile creature. What makes them special is their loving nature. 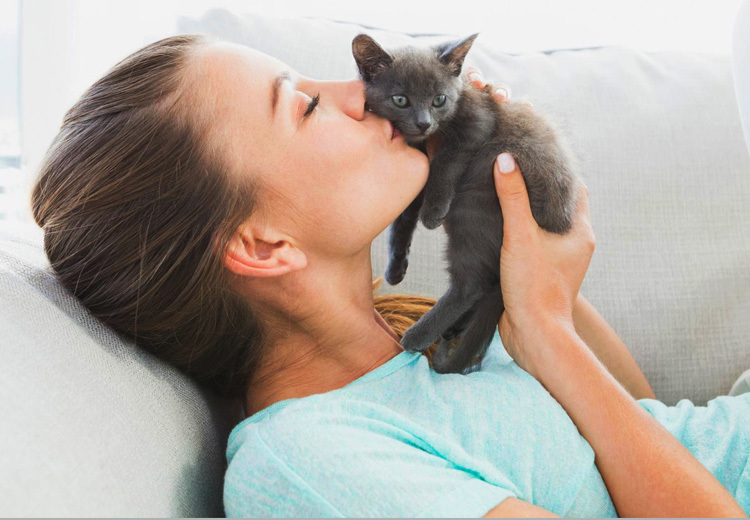 A cat never demands high maintenance and luxuries, but a cuddle means a lot to them. Just a bit of attention and lots of love in return. That’s about your adorable kitty!! Happiness and health is very important for a good life. That’s why we always want our near and dear ones to be happy and our pet is among the most pampered family member. In terms of health, this property needs a whole year investment to be on top of everything. You can’t just keep your cat healthy and happy by effort of a single day and ignoring for rest of the year. 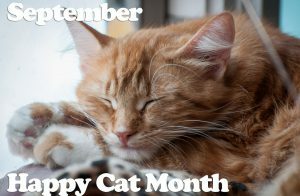 This year make this cat month special by taking few revolutions! Trying out this will give you immense happiness and satisfaction. Just follow these three simple rules as your revolutions and feel the difference. Never ignore even the smallest discomfort in your kitty’s life! Maintain a schedule of regular vet visit. Cats being carnivore, needs good amount of meat in her diet . Try to feed a diet which is complete in terms of nutrition and protein. Cats are highly fond of toys . Ensure that your absence should not make them bore and alone. Your kitty loves scratching . For their joy; you can get some mats in which they can easily enjoy scratching. Make this September magical!! Above all ,try to give your auspicious time to your darling feline friends . These last few lines are dedicated to all proud parents and their cat angels.